Overview: Dr. Driving drives you crazy! Burn up the street with the fastest and most visually stunning edition of the Dr. Parking series. + New Language: Bulgarian thanks git72! + New Language: Catalan thanks reykilibo! + New Language: Hungarian thanks bazolka! + New Language: Swedish thanks pontus123! Overview: Fly your little yellow plane for as long as you can! [break]Fly your little yellow plane for as long as you can! Keep your plane in the air avoiding other planes, tall buildings, and many other obstacles. Pickup various bonus items for extra points and fuel, unlock new worlds, extra planes, and much more! "Like throttle copter, just much better"! Overview: Jumpy is our tribute game to the classic Run and Jump games like Mario and Sonic. 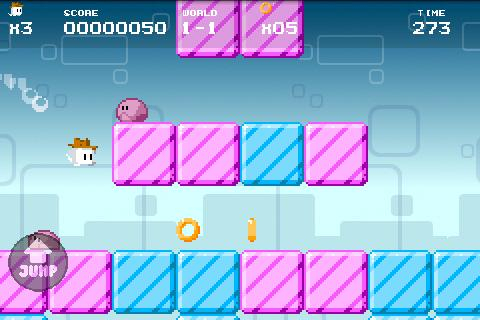 In full retro pixel style, we give you a simple but extremely fun gameplay. [break]Using Open Feint for online scores and achievements! Overview: Sonic & All-Stars Racing Transformed is a racing video game developed by Sumo Digital and published by Sega. It was released for the PlayStation 3, Xbox 360, and Wii U in November 2012, for PlayStation Vita in December 2012, for Microsoft Windows in January 2013, and for Nintendo 3DS in February 2013. Ports for iOS and Android were released on January 2, 2014. Sonic & All-Stars Racing Transformed is the sequel to Sonic & Sega All-Stars Racing, the fourth installment in the Sega Superstars series, and the eighth racing game in the Sonic the Hedgehog series. Sonic & All-Stars Racing Transformed is a mascot-based racing game in which players race against each other using characters from various Sega franchises, although it features many new mechanics and improvements from the last game. The most obvious is that, at certain points in a race, vehicles can alternate between car, boat and plane modes. The car mode handles similarly to the previous game, in which players can earn boost by drifting around corners or performing tricks whilst in the air. Boat mode features true boating physics, requiring players to consider their vehicle's turbulence. They may also be affected by waves made in the water, some of which can be used to leap into the air and perform stunts. Plane mode, the fastest of the three forms, gives players the freedom to move both vertically and horizontally. Like the other modes, players can 'air-drift' around corners to earn boost and can also perform rolls to quickly adjust their position, earning boost for narrowly dodging obstacles. Players alternate between these modes by driving through blue transformation gates. Certain tracks in the game terraform as players proceed through them, offering different playstyles between each lap. Several new varieties of weapons have been added, including explosive hot rod engines, freezing snowballs and swarms of wasps that appear at the front of the pack. All-Star Moves return from the previous title, though these are awarded slightly differently compared to the last game, and can now be used in online multiplayer. During races, players can collect star tokens, found scattered around the course or earned by attacking opponents, which can be spent in a slot machine between events to earn random bonuses, such as enhanced items or faster recovery from certain weapons. The main campaign is the Career Mode which, along with returning features such as Grand Prix, Time Attack and Single Race, mainly revolves around the World Tour mode. This mode involves going through a branching series of events, ranging from standard races to various challenges, including earning time by drifting, maneuvering through traffic or fighting against large tanks. Completing these challenges on various difficulties earn stars which are used to open up new branches and unlock new characters and mods. Racing with each character in any mode earns XP which unlock modifications that alter the stats of each vehicle. The game features 16 new tracks inspired by games like Super Monkey Ball, Panzer Dragoon, Golden Axe, After Burner and Burning Rangers, as well as four returning locations from the first game and mirror versions of each track. The game also features online multiplayer in all versions and four player split-screen multiplayer for the console versions. Some of the career modes can also be played in split-screen multiplayer. The Wii U version also features unique minigames and features that utilize the Wii U GamePad and can support up to five players via split-screen. 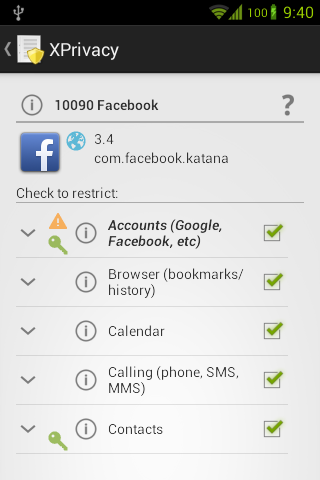 Note : this version works for me (Xperia SP), and others devices. Overview: Gunslugs is the most chaotic, fun, arcade action game you'll find on any platform! Non-stop action from the guys behind Meganoid, Meganoid 2 and Stardash ! - We grabbed a bunch of expendable action hero's from the 80s and we made them team up as the Gunslugs to fight the war against the always evil Black Duck Army. Can you save the planet? maybe even the universe? Meganoid gets most of its inspiration from 80s and 90s games, the pixel-art graphic style is on purpose! level count: 40 levels! get your friends to download the game, and we'll be able to add more levels in updates! - KEYBOARD USERS: use A/D and i/J to move! 1 - Download and install APK game , but not open yet. 2 - Use the GLTools to " emulate " the Adreno 320 GPU ( risk bootloop ) . 3 - Open the Lucky Patcher , find the game , click "Remove license check Amazon ." 4 - Open the game and good fun . 1 - Download the Amazon App and make a free account . 2 - Now visit the web version of the Amazon App Store on your computer , or your Internet browser of Android ( if you are using Android to navigate , make sure you configure your browser to view pages in desktop mode) . 3 - Visit the game page on Amazon : Amazon Link . 4 - Click on "Get Now With One Click " . A message will pop up saying " this application may not support your device , continue ? " click " yes " , and will now indicate that you bought the game . 5 - Install the apk downloaded here, open it and see that the license check is valid , good fun . 1 - Before you have Titanium Backup installed on your device . 2 - Backup Download of the game , extract and copy the 3 files to the " TitaniumBackup " folder which is in its internal memory . 3 - Open the App Titanium Backup , go to the " Backup and Restore " tab , find the game and restore App + Data . 4 - After the procedure ( delayed) start the game and enjoy it completely. Overview: Skat is the most popular card game in Germany, but also well known all over the world. Three players form two counter parties, which are playing against each other. The Declarer (player which is playing alone) is determined by bidding against the other players. 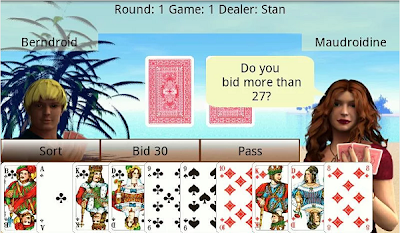 Bidding means, each player estimates a bid value of its card deck and tries to outbid the other players. The bid value is a combination of high trumps (jacks) and the bidded suit (trump suit), with exception of Grand and Null games. In Grand games only Jacks are trump, Null games don't have trumps and have a fixed bid value. The goal of a game is, to earn the most points. Normally a game is won by the declarer, if it achieves 61 points (simple games). In exceptional cases the declarer has to achieve 91 ("Schneider") points, to get all tricks of a game ("Schwarz") or to get no trick (Null games). A Series consistes of 36 games (48 games if four players are playing a Series). Goal of a Skat is, to have the most points at the end of a Series. The finally result will be determined by using the Fabian-Seger-System. I.e. for each won game, the declarer gets 50 bonus points. For each lost game of the declarer, the counter party gets 40 bonus points. Skatroid is a Android Skat game.It is a offline variant of Skat featuring two virtual computer players (androids) which play against you. The virtual players support very realistic and human way of playing Skat. The virtual computer players have a playing knowledge that thrills Skat beginners as well as advanced Skat players. Furthermore the homelike athmosphere of the game and droll androids effects that it is fun to play! So give it a shot! - The Message "App is not licensend" after the installation is a known bug, possibly caused by Google Play. Please reboot your phone and try it again. If a reboot is not suitable, please reverse your money in your Google Checkout account. - Skatroid currently is not optimized for tablets. If there are problems while displaying, please reverse your money on Google Checkout. - In one case a user could'nt reverse its money from Google Checkout. This problem is unknown. (In the given case i didn't achieve the money. This was the reason, the user couldn't reverse, because it wasn't paid. Please assure, that your payment really is charged from your account. If your have a problem, please contact me. Overview: Little Galaxy is a game inspired by a real story of a young scientist, who reached out for his dream to find a new home. We have met this boy and were touched by his story as he lost everyone and everything, we are trying to help him to build functional prototype of jumping space boots so he can start his journey. We ran out of money and because we are definitely better at making games than building strange space travel prototypes, we have made this game. We want to use it to get the necessary funding to help him. Please help the boy and please help us to spread the idea of space jumping! Little Galaxy is all about space jumping, simple one touch game play, lovely graphics, challenging quests and star dust on your cheeks.  Our space jumper is not alone any more. Now you can play also as Alice the space adventurer.  Bored of the old same space suit? Change it for new exciting costumes including clothes borrowed from Santa.  Is an objective too hard? Use the brand new Solutron power up to skip it.  Christmas could not be complete without a huge Christmas tree and snow. Find them on your home planet.  Possibility to change graphic details for slower devices. - v3.0 release candidate in testing! Overview: Unleash the full potential of your Samsung or Sony tablet and the built in IR transmitter with this professional grade remote app. Nothing else to buy to get full control of your home theater system. Replaces up to 15 remotes! Uses infrared and/or IP control. You probably know that feeling of freshness and enchantment after changing your wallpaper after a long, long time. It almost makes your phone feel like new, right? Well, sadly this feeling wears off way too fast and leaves you with the same feeling of dullness and boredom until you change it again, which is an act that is way too impractical in itself. Fortunately, Freshbacks is here to change to help you out with that! Freshbacks is an awesome way to keep your phone fresh and beautiful, every single day!  Freshbacks will download 10 new fresh and fabulous wallpapers each and every night from world famous wallpaper site InterfaceLIFT.com in Full HD resolution. It will then loop randomly through your daily wallpapers every time you turn your screen on!  Love a Freshback? Keep it as long as you like by simply double-tapping it!  Dislike one? Just long-press it an tap the renew button to replace it with a fresh one!  Really, really dislike one? Tap the block button and it will never be shown to you again. Try it out now and see for yourself that Freshbacks is an app that you wont ever want to miss again! Important note: Freshbacks runs as a Live Wallpaper, but does NOT drain your battery in any noticeable manner while in use!  Freshbacks Lite: Lite users can renew up to five wallpapers and download two sets a day. Lite users can also activate wallpapers manually for three hours or more (Free users can only choose between Until the screen goes off and 1 Hour). You can become a Lite user FREE OF CHARGE within the app!  Freshbacks Pro: Pro users can renew as many wallpapers and download as many sets as they please. They also get extended functionality like blurring wallpapers. Pro users are also totally awesome! Note: Users who already paid for the app will automatically become Freshbacks Pro users. Thanks for requesting features / reporting bugs! Puzzle your way through each room and lead the curious Anne to find the secret at the center of a toymakers beautiful but mysterious mansion! Magic is around every corner, and she cant escape without your help! Uncover the many secrets of the Toymakers mansion! - Explore rooms like a storybook and lose yourself in the magic and mystery! - From the beautiful art and music to the Toymakers secrets, every detail of Rooms was painstakingly created to be a thrilling tale from start to finish! - Think you can solve the puzzles faster? Compete with friends for the top score on each puzzle! - Items and tricks can increase your scores! 【Golf Star】 Experience the most vivid game of golf ever! 【Heroes War】 Assemble the ultimate force of heroes to save the world! 【Little Legends】 The ultimate RPG with a social twist! Uncover the Toymakers mysterious secret and help Anne escape from The Mansion: A Puzzle of Rooms! - Check out the final piece of Annes puzzling story in the 4th Theme! - Solve the mystery in 24 new stages and escape the Mansion! - Try out the Compass and Eraser! Overview: Get Ready to Bomb those Ants that are trying to Invade your Place, Use your Unique weapon's like Flies Head, Bug's Leg and Spider's Spinneret to Crush those 13. Get Ready to Bomb those Ants that are trying to Invade your Place, Use your Unique weapon's like Flies Head, Bug's Leg and Spider's Spinneret to Crush those 13 Different Enemy Ants before they Caught You. Dynamite Ants is a tile based Game which use Flies Head, Bug's Leg and Spider's Spinneret as a Weapon to Kill Enemy Ants. Make Strategies for a Game with 78 Levels, expect it to be more difficult each level you pass. Learn more about ants and make Strategies to earn more Points in Game, the more level you achieve, the Thriller it will get. Good Luck Lads!!! Overview: Having made an incredible journey in time, youll find yourself in the medieval kingdom of Orion. Reveal an ancient curse and save the kingdom and its inhabitants. The last prince of Orion is waiting for your help! Open the weird locks and explore every room of the castle in Echoes of the Past: Royal House of Stone. You will meet the castles inhabitants and learn the horrible mystery of the royal family in this exciting Hidden Object Adventure game. - Dark and captivating scenes to explore! Overview: Radardroid will give a visual and audible warning when you approach any fixed or mobile speed camera in the application database. This application will reduce possible speeding tickets thanks to the ever increasing available features. Please, check out our free Radardroid Lite application to get to know our apps. -Easy access to speed camera editor. -Button to add new cameras or mark existing cameras for later editing. -Select window style on Configuration Wizard. Overview:So what is Nandroid Manager? 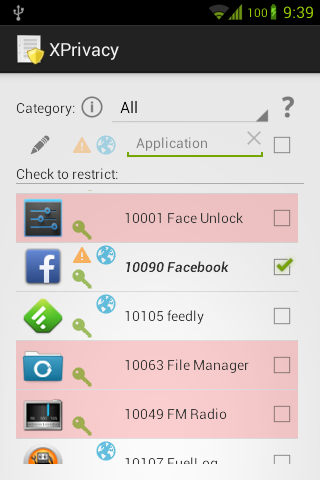 Well Nandroid Manager is the ultimate tool for managing all of your nandroid backups! [COLOR=#5E6A72][FONT=Lucida Sans Unicode][B][B]Many more features to come in the future! * Fixed bug reported via the Google Play Store. Overview: Here is the Lenovo Super Camera for all phones. It is the best custom camera app I've seen for our devices with a ton of options and you will definitely love it. Powerful camera for all devices!